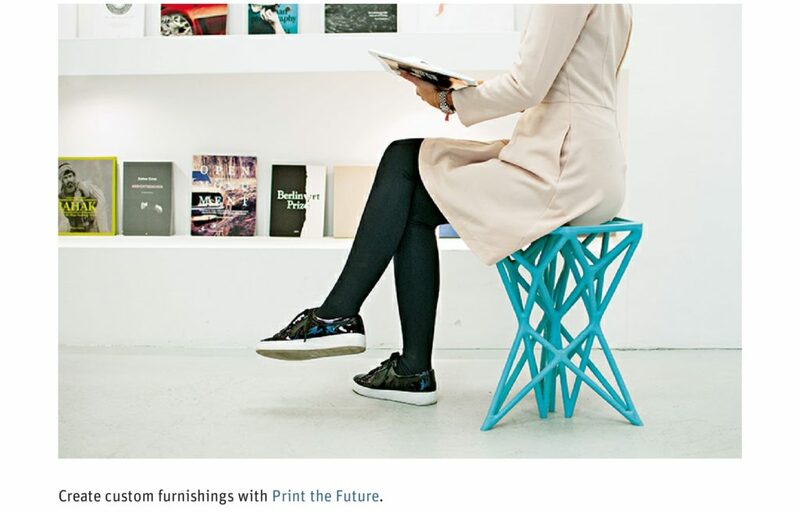 (Print) The Future is Here! 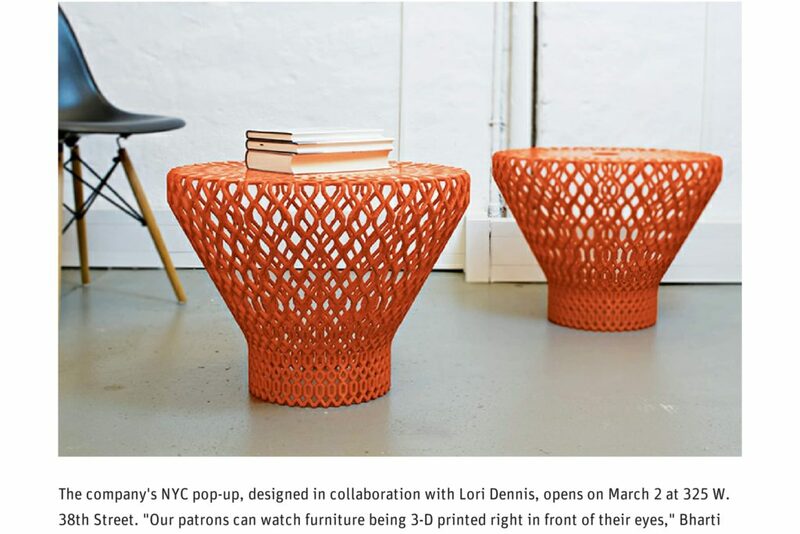 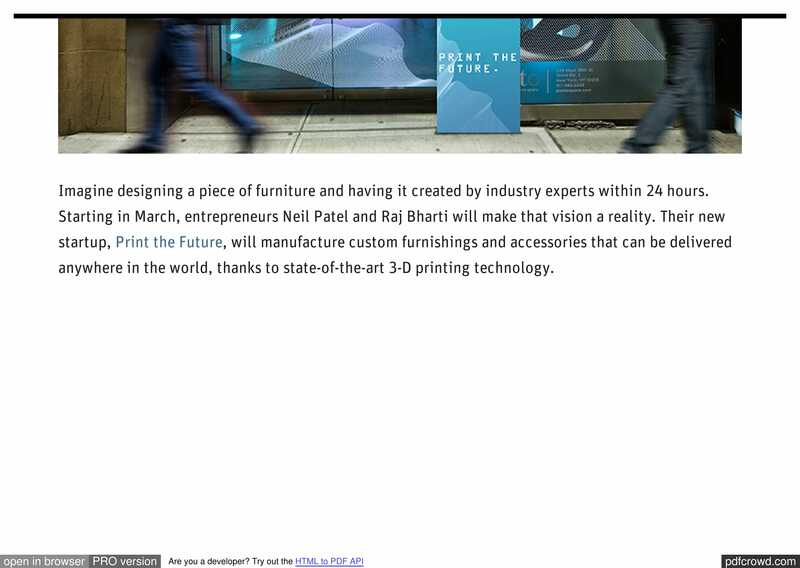 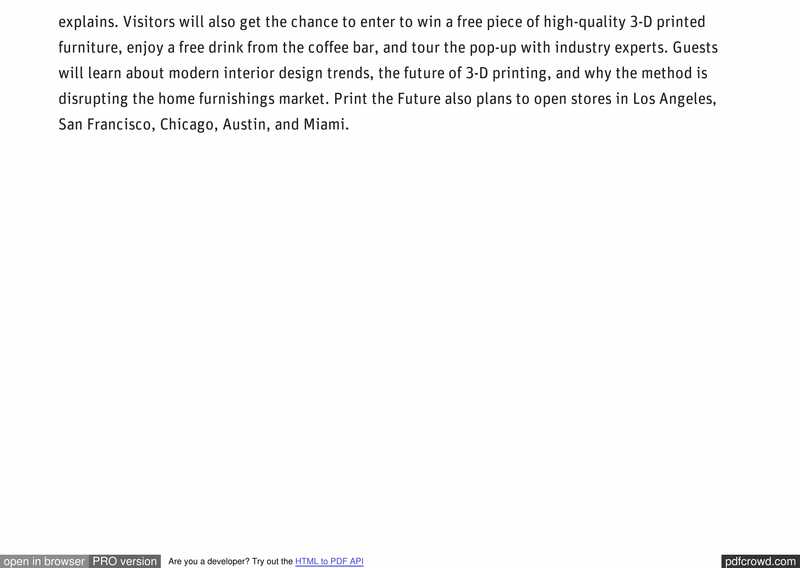 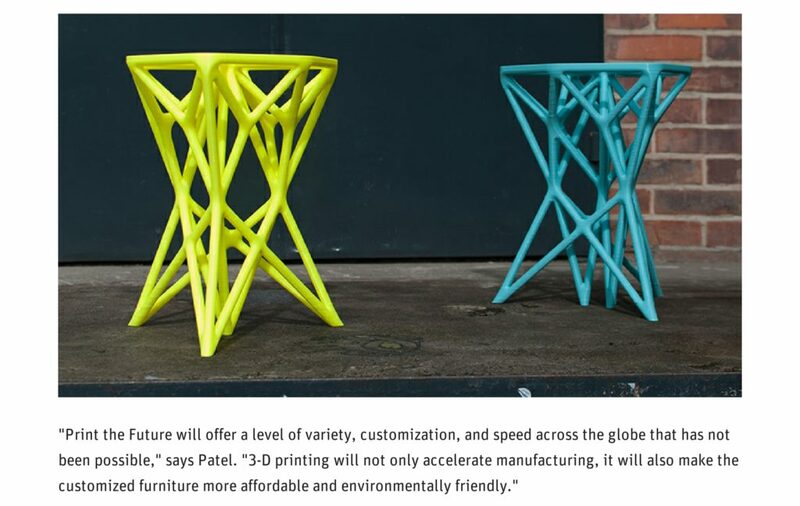 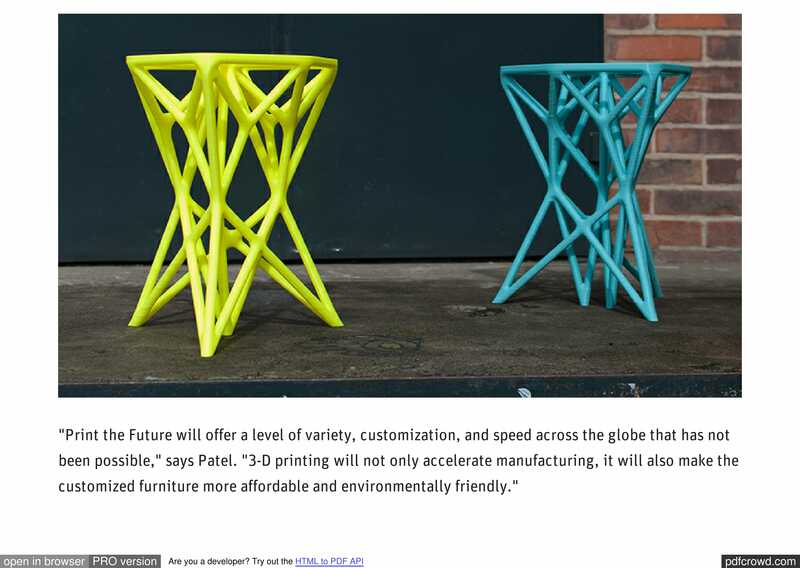 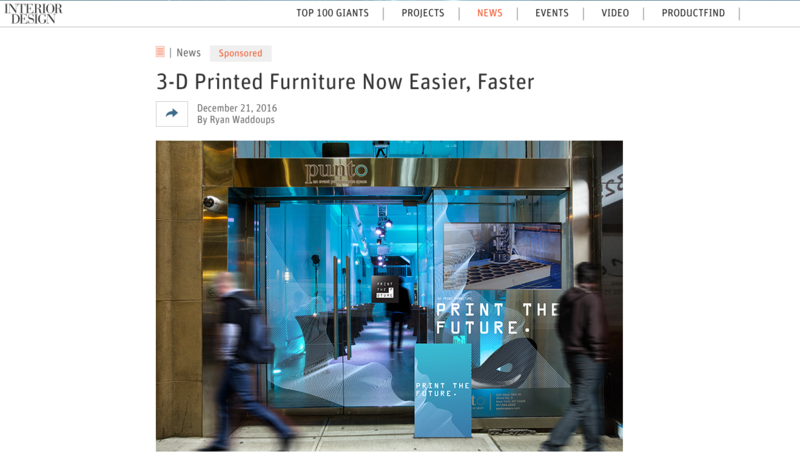 Our partner, Lori Dennis has once again established herself to be at the forefront of design technology in her collaboration with Print The Future, churning out high-end, no-waste, accessible and “almost instant” furniture with 3D-printing. 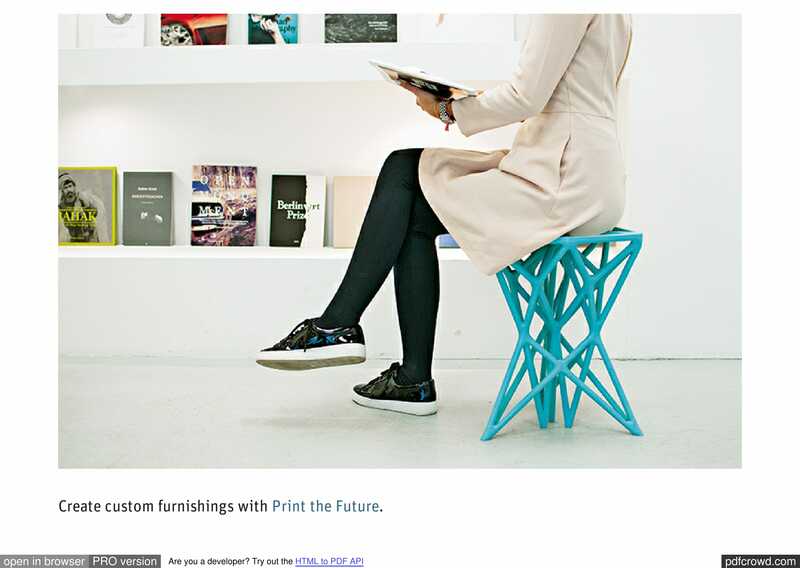 Congratulations for being featured in Interior Design Magazine for your new endeavour! 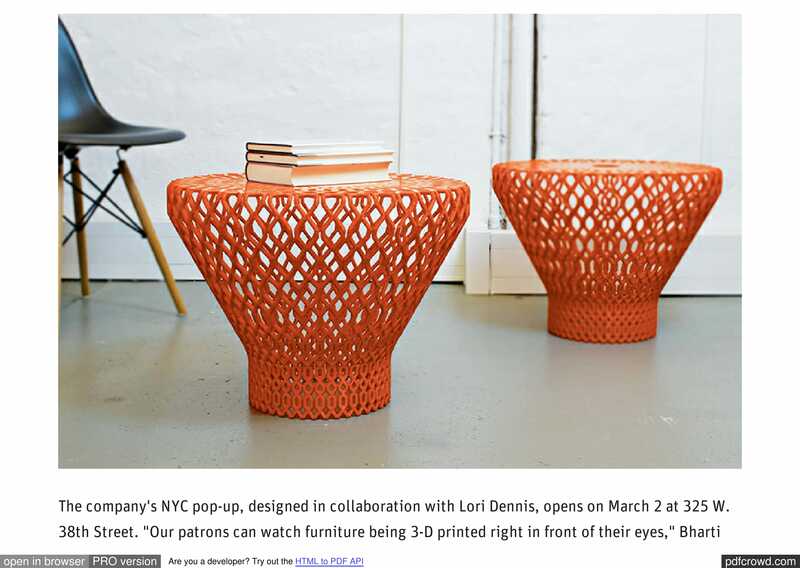 Their pop-up store in NYC opens on March 2 at 325 W. 38th Street.